The basic criterion for a trainer is to hold a 200 Hour Yoga Teacher Training Certification from a Registered Yoga Alliance School in order to teach yoga anywhere in the world. Yoga Alliance is a non-benefit administering body that signifies and supports Yoga Teachers, Yoga Schools, and Yoga Studios. Yogstars registered and recognized as a Registered Yoga School. At Yogstars, we trust that no single style of yoga or that a solo practice is 100% maintainable. We as a whole experience distinctive periods in our lives inside our physical bodies, our mental, energy, emotional and our spiritual states, and how much new information we are fit to grab in. This is the reason, at Yogstars, we respect a wide range of styles of yoga and different practices tied down in the convention and the underlying foundations of yoga, including Critical Alignment Theory, Modern Nutrition and Functional Anatomy,and many more. This 200-hour yoga teacher training is genuine immersion into yoga at its best. By the time you are done with the training, you will be entitled with a 200-hour certificate. You will be qualified to be enlisted with Yoga Alliance, and have the eligibility to proceed with your training’s to become more refined yoga trainer with cutting edge yoga teacher training programs. * Find out about the skeletal and muscular systems and how this influences your practice and you’re ability to teach. * Figure out how to structure a class and then fuse every one of these parts into planning your own session. Figure out how to show this class to your batch mates in small gatherings and later you will have teach this class to your batch matesas a part your assessment. You will begin to educate your companions amid the main week of your training. You will train each other on a one-on-one premise by separating the basics of a yoga class, from here you will advance to composing and conveying your own class. Every session, there will be instruments given to you to build up your training aptitudes, encouraging you to designing your own particular yoga class that you will conduct amid the last week. The training strategy sessions include: opening a class, sequencing, directions, relaxation procedures, rectifications and conformities, alterations. Students will find it the most memorable part of their training as most of them will be teaching yoga for the first time in their life. Taking part in every others classes and giving helpful input to your companions is an extraordinary approach to learn and this proves the ethos that learning is sharing. Established yoga philosophy is entwined all through the program and you will be acquainted with Patanjalis yoga sutras, permitting you to make your own correlations of traditional and contemporary yoga, questioning: What is yoga? These sessions are an extraordinary time for philosophical verbal confrontations and without a doubt give an appreciated knowledge into the perspectives of your kindred students. Each yoga class will deliver a spiritual message that will allow you to see how you can merge philosophy into practice. Yogstar will conduct a discussion on yoga in Gita, a dearest Indian content from which numerous lessons can be learnt. 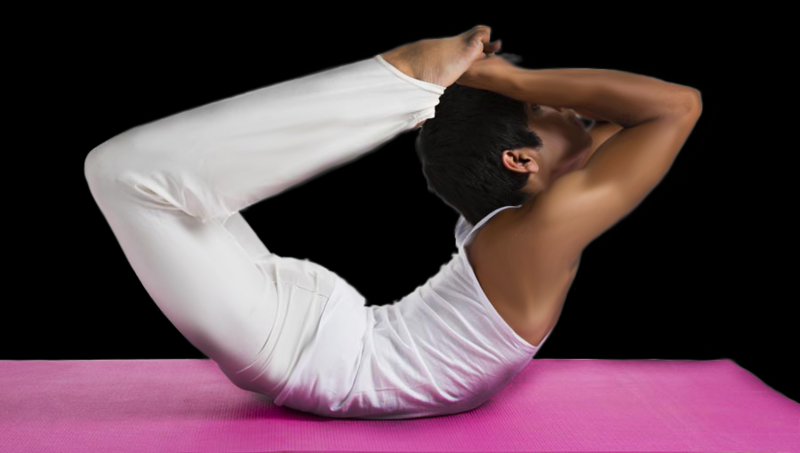 The program offers a strong basis in Ashtanga/Vinyasa flow. Focusing on the right arrangement of the asanas that make up the essential arrangement with an emphasis on offering alterations to suit specialists of all levels and capabilities. The course starts with a Senior Teacher directing you through the full essential arrangement, with changes while assistant teachers will bolster you guaranteeing right arrangement of every asana. These classes will be trailed by two hours of Anatomy and Alignment classes where will you separate the Primary Series act by stance permitting you to pick up a more profound knowledge into how the body mechanics influence your practice. You will have the chance to take notes, practice coordinated with your associates with the support of your teachers. The point is that you expand on earlier information of anatomy whatever level that might be and leave with a more noteworthy attention to your own body. Amid these classes, you will likewise concentrate on the most proficient method to adjust yourself practice, recognizing your shortcomings. The teachers will help you recognize such regions and give you planning strategies. Amid week two, you will be prepared to start honing without anyone else. The teacher will no longer lead the class, you will finish the series, together with your associates, with your own breath include and your own time. You will be bolstered by your Senior teacher and right hand teachers who will check posture alignment, help you extend the asanas and transform you if accessible. Self practice is an extraordinary path for your teachers to help you customize your improvement. A mix of Flow Classes and Technical Workshops will make up your evening practice. Flow classes are cases of the style of class for you to assemble for your training appraisal. Specialized workshops concentrate on key zones: hip opening, moves (hop throughs and bounce backs), back bowing and arm-balances. These workshops are especially compensating regarding measuring your own noticeable advance and fill in as an update than yoga can be fun and intelligent. These agreements incredibly to the self-restraint and concentrate on your morning Ashtanga classes. As soon as you step onto your yoga mat, you will be urged to carry attention to your breath. In Ashtanga, the ujjayi breath starts the movement starting with one asana then onto the next. You will figure out how to utilize the cadence of this breath to advance through your practice. Additionally, you will likewise learn fewmore Pranayama strategies that will help you clear your psyche, enhance your lung limit in addition to a scope of other mental and physical advantages. This is an essential part of yoga that is frequently disregarded, yet ought to dependably take after a physical practice. Instructional exercises will clarify the hypothesis going with these breathing methods, empowering you to practice adequately amid guided classes. Amid these classes, you will likewise cover Kriyas (purifying) and Mudras (energy locks). The more desires and assumptions you have about what your yoga teacher training in India will or ought to incorporate, the less you concentrate on the experience you are having. The students who land here with an eager heart and the longing to move toward the life of a yogi have the most reimbursing experiences. Neither Yoga teacher training in Delhi nor Yoga teacher training inNoida is a detox, yoga retreat, yoga boot camp or a vacation. Being a yoga student implies you should be completely present in body, mind and soul. Try not to begin the venture of your yoga teacher training in India excessively exhausted or with a body that is not much prepared for the long days. Coming with a relaxed body and a dedicated mind will begin you on your way to satisfaction as a yoga teacher. Additionally, study as much as you can about yoga philosophy and history, the different styles of yoga and the anatomy of yoga. Take however many distinctive classes from various teachers in a variety of scenes as would be prudent. A wide experience base and a receptive outlook will work well for you in this training course. Amid the Yoga Teacher Training in India, your days will be long, yet loaded with far beyond simply honing physical asanas. Yogstar’s is established based on Self Love and Self Care and you will be well dealt with through a blend of physically and rationally difficult classes, rejuvenating and peaceful classes, aggregate examinations, self-inquiry, and breaks all through the day. You don’t have to be adaptable or youthful or any misconstrued label or generalization to take our training. All we ask is that you want to learn, and are interested in new experiences. Wherever you opt to get trained with us, you can expect an incredible ordeal brimming with investigation, creation, and association.